The ancient Egyptians considered carnelian to be one of the most calming and healing semi-precious gemstones. It was believed to elevate the mood, eliminate stress and was used as a symbol of life. Herbin is the oldest name in pen inks in the world. “The Jewel of Inks” was created in Paris in 1700. The tried and tested Pelikan 4001 inks are optimally designed for fountain pens with plunger mechanism and converter. Only these inks guarantee reliable functioning in Pelikan fountain pens. Royal Blue can be eradicated and washed out of most textiles. Pen Cleaner is also good for all sorts for dip-pens, fountain pens and even technical pens. 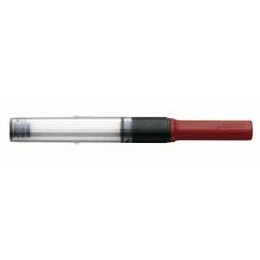 Dried ink, especially waterproof India ink, can be difficult to remove and little dried bits of ink stuck between the tines or in the reservoir can impeded ink flow.